Canning Mint Jelly - Canning Homemade! I wanted to share a recipe many people don't normally make but if you love lamb like I do it is a must for your pantry. I realized how sweet the ones you can purchase at the store were after I put mine own out at a dinner we had recently. It is the perfect balance of mint and sweet for a meat jelly and it really is a great gift for any of your lamb lovers. My sister and I made 2 pints and split the jar after we opened one of the pints into these cute jelly jars for the fridge. Do not use these jars for canning! Enjoy! Sterilize canning jars and prepare two-piece canning lids according to manufacturer's directions. To prepare mint juice Wash mint, crush leaves and stems or finely chop. Place in saucepan, add water and bring quickly to a boil. Remove from heat, cover and let stand 10 minutes. (A few drops of green food coloring can be added if desired.) Strain to remove mint. Discard mint. To make jelly. Measure 1-¾ cups mint juice into a large saucepot. Stir in the sugar and lemon juice. Place on high heat, stir constantly and bring to a full boil that cannot be stirred down. Add the liquid pectin and heat again to a full rolling boil. Boil hard for 1 minute. Remove from heat; quickly skim off foam. Pour hot jelly immediately into hot, sterile jars, leaving ¼ inch headspace. Wipe rims of jars with a dampened clean paper towel, add hot lids/rings and place in water bath canner. 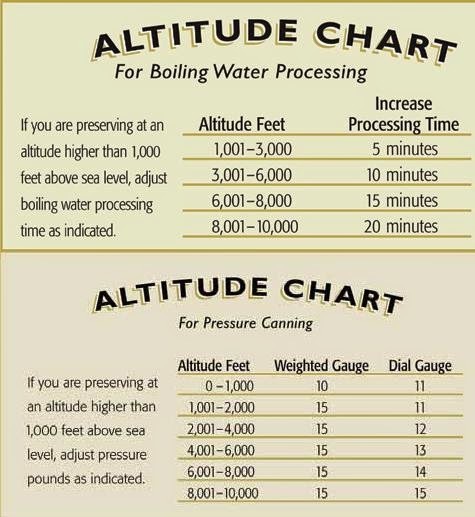 Process for 5 minutes at a full rolling boil.